Stainless Steel is an alloy with 10.5% Chromium by weight. It is also known as Inox Steel, which translates to inoxidizable steel in French. SS is well-known for its resistance properties. Stainless Steel does not corrode easily in reducing acids and pitting attacks in chloride solutions. Thus, making it widely used in applications that require strength and corrosion resistance. Stainless Steel is found in a variety of forms such as sheets, plates, coils, bars, plates and tubing, as per application demands. Its low maintenance also makes it commonly used in many industries. SS is used in from household applications like cookware to industrial applications, as well. Industries such as paper mills, chemical plants, water treatment, chemical tankers, road tankers and more. Even medical industry makes heavy usage of stainless steel. 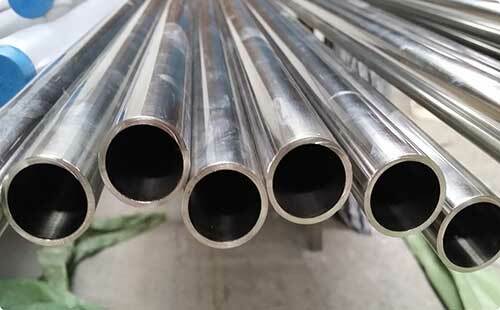 Stainless Steel also resists attacks from phosphoric and nitric acid. Austenitic, Martensitic, Ferritic and Duplex are four types of stainless steels. Austenitic steel comprises of the largest group of the steel family, which makes up to above two-thirds of stainless steel production.